Some prefer to pull scapes rather than snap. It depends perhaps on what you plan to do with them. Pulling scapes will yield a longer scape. Snaping will yield a shorter, but leave some integrity to the plant. 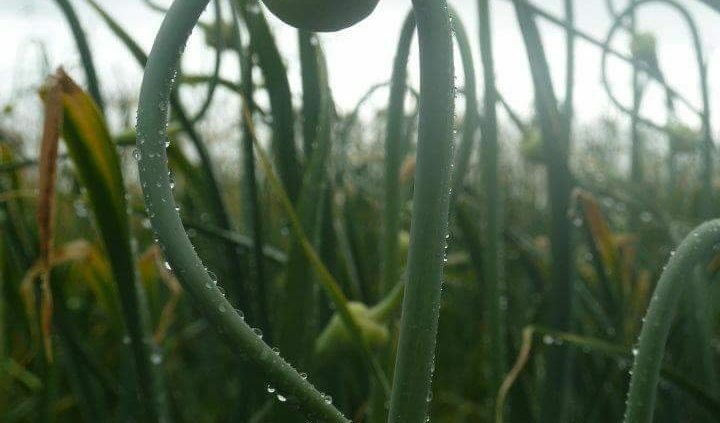 We are spending days now picking scapes and pickling some and stir-frying some. They are super delicious stir-fried with butter and mushrooms. 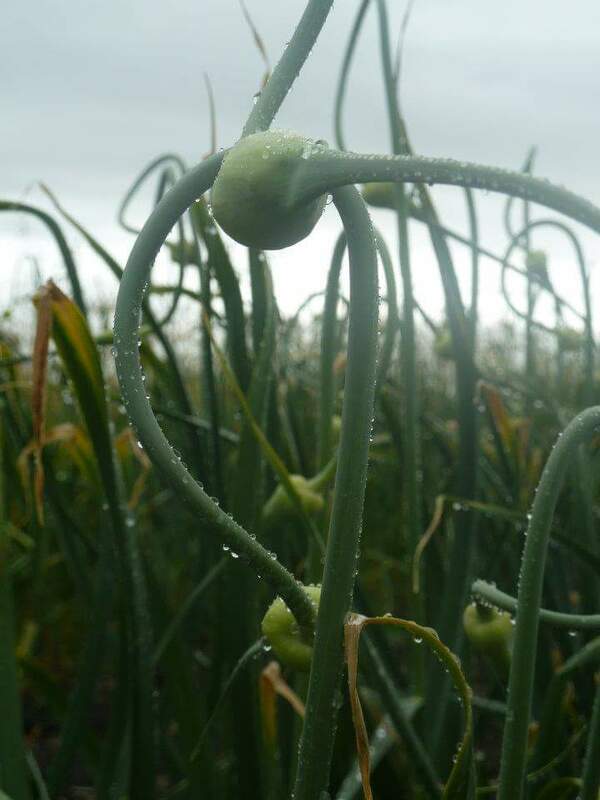 We pick scapes when the scape is in full curl and the tip pointing approx 45 degree angle up. This is when they aren’t woody and perfect for canning.